Dero takes long-term bicycle storage to new heights with the new Two-Tier Bike Locker. Building on Dero’s popular single-tier bike locker platform and Dero Decker 2-tier bike rack, this multi-level locker is easy to load and provides a high-level of security. The Two-Tier Bike Locker provides a space-saving solution to meet the increasing demand for covered bike parking. 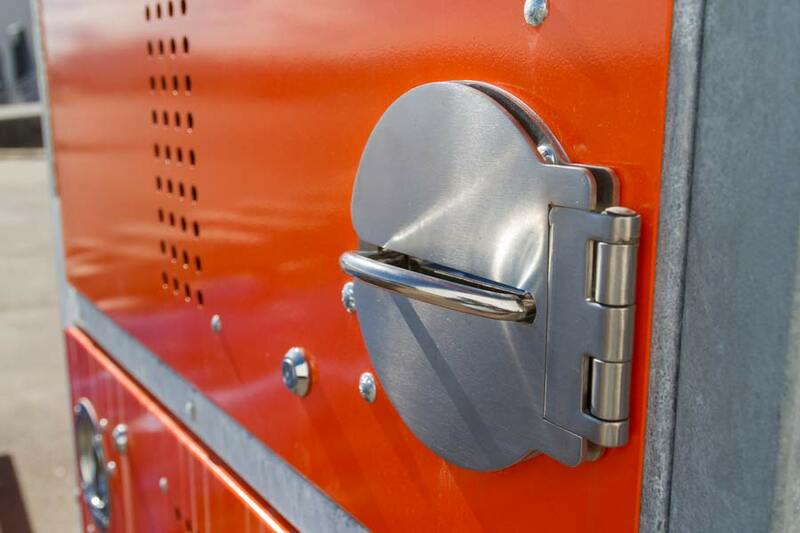 Municipalities, governments, universities, and businesses will love the sturdy steel construction with locking options that include a u-lock/padlock compatible handle or a keyed lock, while bicyclists will appreciate the enclosed security and optional gear hooks. The Two-Tier Bike Locker ships flat to save on freight, comes in galvanized and powder coat finish options, and has a modular design. This entry was posted in Bike Storage. Bookmark the permalink.